Open your bottles, anywhere you go. Slim profile design that saves you some pocket space. Gave this as a gift along with the organizer to my husband and he loves it! Now his keys are organized and he can still have a bottle opener. It’s always handy to have a bottle opener on hand, you never know when you might need it. Having this bottle opener on my Orbitkey is fantastic. It’s slim but sturdy, hides easily between my keys and is always remarked as useful and stylish by those who see me use it. Works perfectly, looks good - really like the brushed matte finish and compliments my key organiser perfectly. Yep, love it. What a lovely review, Peter. Many thanks! It does exactly what it says it does: opens bottles, and that's great! A handy little thing to have in your key organiser. The same width as a normal key, if not slightly thinner. 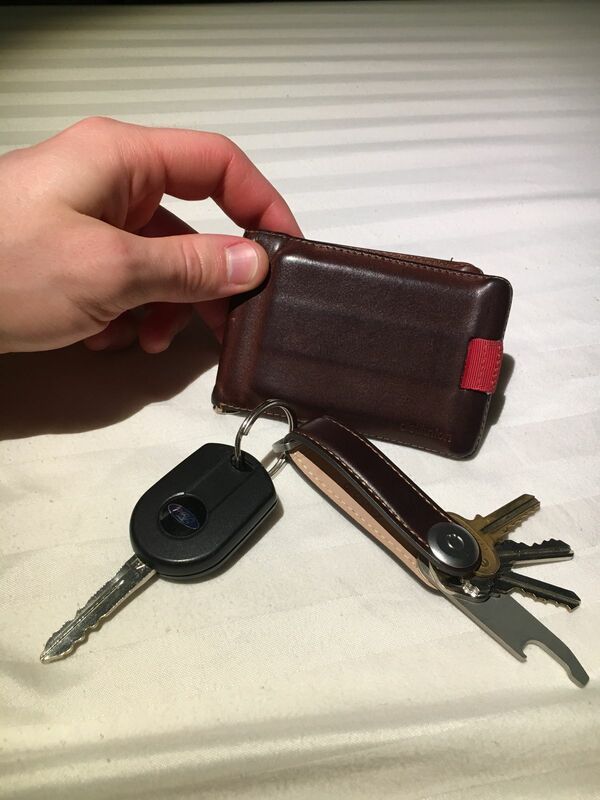 Robert F. Reviewed by Robert F.
I don’t carry many keys and the OrbitKey has been an absolute delight. Has left me wondering where this product has been all my life? The bottle opener works as it should. Purchased the Espresso w/ brown stitching to almost match my wallet, quite the duo when sitting out on a table. The OrbitKey gives me the sleek, no jangle, key solution that I have been looking for, don’t hesitate.